Treat your loved ones this Valentine’s Day to a romantic night out in a sensuous ambience at various outlets across the hotel. 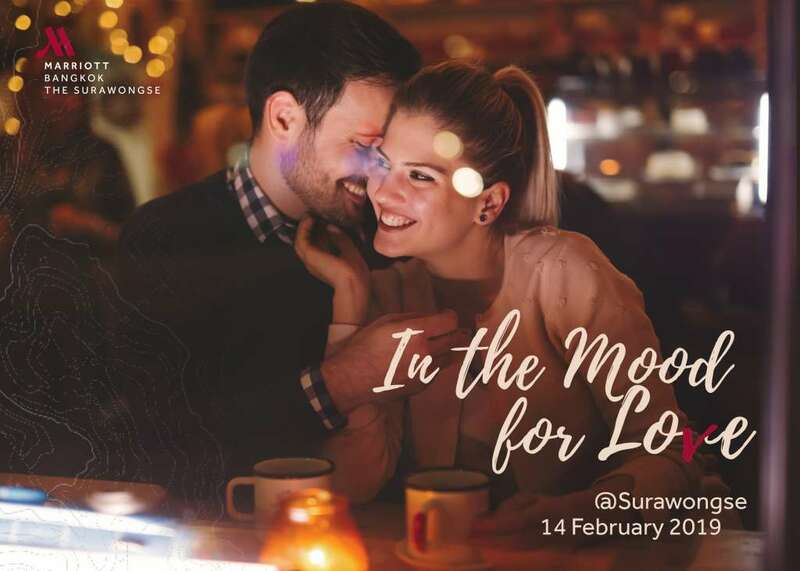 Whether it is an idyllic meal for two or fine drinks with an unrivalled views of Chao Praya River, the romantic evening are prepared at Bangkok Marriott Hotel The Surawongse on this 14th February. Praya Kitchen, an authentic Thai buffet restaurant is set to create a memorable night for those lovebirds who passionate about bold flavors of Thai cuisine with an array of Thai dishes which recreated from Chefs’ childhood memories. Adding to the special occasion is the Surf & Turf station, featuring 12 fresh seafood items and premium local and imported meats. Highlights include blue swimming crabs, tiger prawns, crayfish, 55-day aged Thai sirloin, Australian and US beef, New Zealand lamb rib eye. 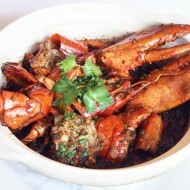 Not-to-miss is a rare lobster menus such as the signature kaeng kua with lobster. 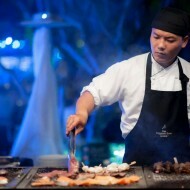 The elaborate buffet also includes oyster bar and a variety of Thai dishes, freshly served from live cooking stations. 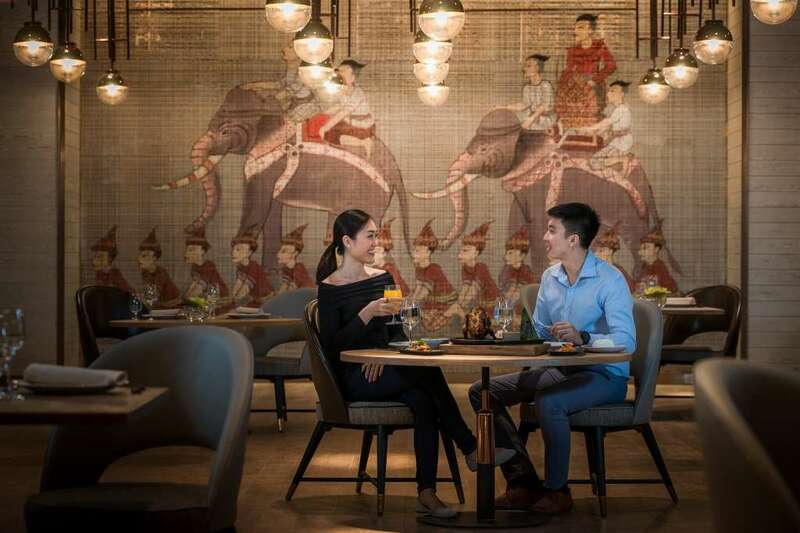 The Valentine’s Day dinner at Praya Kitchen is sure to please every palates with the fine feast at THB 1,588++ per person, including a complimentary glass of Prosecco or rose cocktail. The memorable romantic moment is often made by the atmosphere and that’s where Yào Restaurant shines. 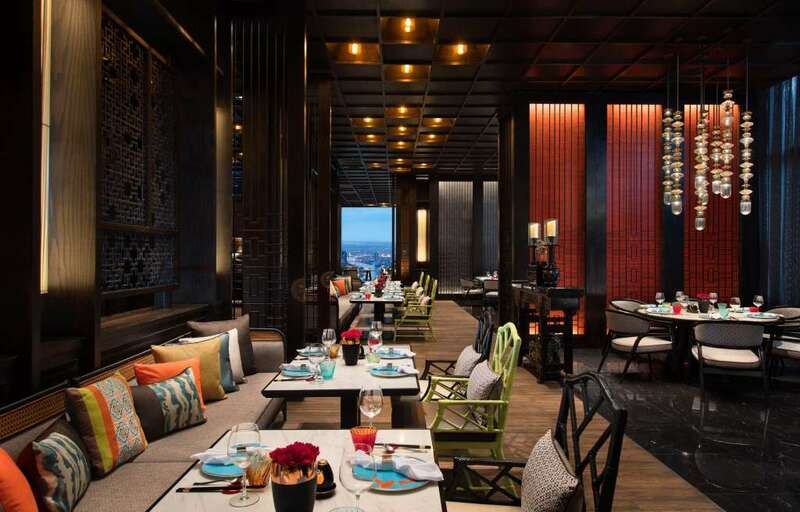 Boasting some spectacular views at night, the Bangkok’s first Chinese inspired multi-level spot makes for a magical romance. Celebrate Valentine’s in style with an array of Cantonese and Shanghainese dishes delicately prepared for the occasion while indulging in a stunning view of the city at night. Couldn’t care less about all romantic love scenes? Yào Rooftop Bar has some great options for lone birds and the consciously uncoupled. 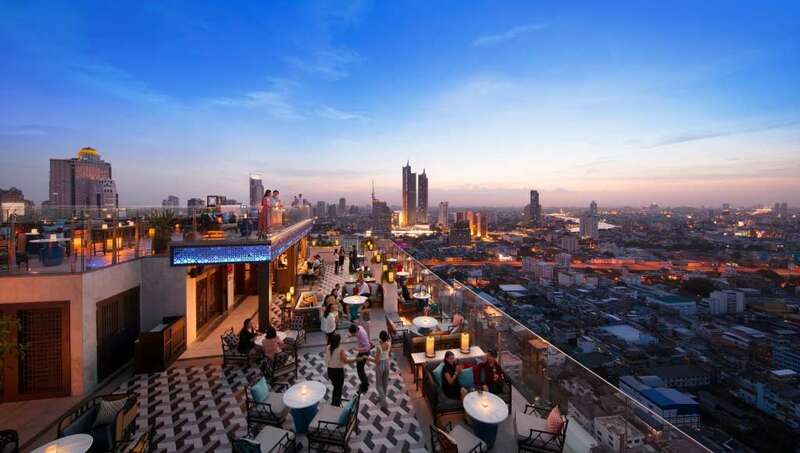 The rooftop bar offer drink packages that includes free flow of Chang beer, soft drinks, white and red wines and the bar’s signature drinks at only THB 1,444++. 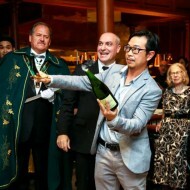 Adding more to the package free flow Prosecco at THB 2,400++ or choose free flow Taittinger Champagne at THB 3,444++. The packages are available on the night of 14 February 2019 from 21.00 hrs until midnight. 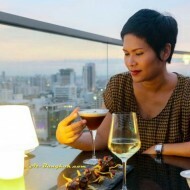 As we’re spreading the mood for love across the hotel, the coupon for a glass of cocktail at Yào Rooftop Bar is offered to every couple dining at Praya Kitchen or Yào Restaurant on 14 Febraury 2019 as Valentine’s Day gift. 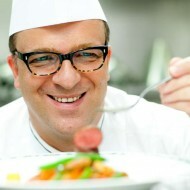 For more information or reservation, please contact 02 088 5666 or visit www.bangkokmarriottsurawongse.com.